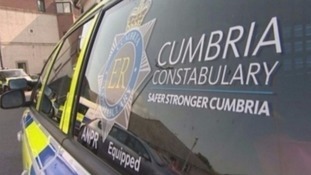 Cumbria's households will pay more for their police force after a council tax hike was voted through. Cash-strapped police chiefs spoke of the stark choice between upping the precept and slashing officer numbers, with demand for their services on the rise. The plea for more cash comes against a 21 per cent surge in overall crime across the county, funding "uncertainty" and the challenges of keeping pace with cyber crime. The precept will rise by £24 a year for Band D properties, an increase of 10 per cent - money that will be used for keep on an additional 25 police officers as well as recruiting another 20.The Police and Crime Panel agreed unanimously but "reluctantly" to the increase after hearing a plea from Peter McCall, Cumbria's Police and Crime Commissioner. He said: "I get the message firmly and clearly that people want to see more of the police. And I constantly respond with the harsh reality that if we want more, we must be ready to pay more. "I am conscious any increase in tax for any of us is unwelcome: I pay council tax too. I feel the effects of any increase. Our job is to do the very best for our residents, and none of us would ever willingly increase tax. "That said, my priority is to honour the oath that I took on being elected to do all I can to ensure the police are able to cut crime and protect the public. "The consequences of not taking this opportunity to raise the precept will be a real threat to the sustainability of our officer numbers just when we are starting to see the tangible effects of our current strategy."